Ice Damage Restoration - Lindstrom Cleaning & Construction, Inc.
Have you noticed the beautiful artwork that Mother Nature has recently provided us? Those amazing and intricate icicles hanging from your roof? They may seem like an innocent piece of artwork, but they could actually be damaging to your home. When snow falls, even a small amount, and sticks to the roof, ice dams can form. It happens when the layer between your roof and the snow begins to melt. It slides under the blanket of snow to the edge of your roof and begins to freeze. Eventually these layers build up causing ice dams. The large amount of snow, and our cold temperatures this year, have caused vast amounts of ice dam problems and damages. Especially with the amount of snow that our roofs have been holding. The insulated combination of the top layer of snow, and the heat from the home, triggers those ice dams. The damage that is produced can sometimes be obvious, and at times subtle. 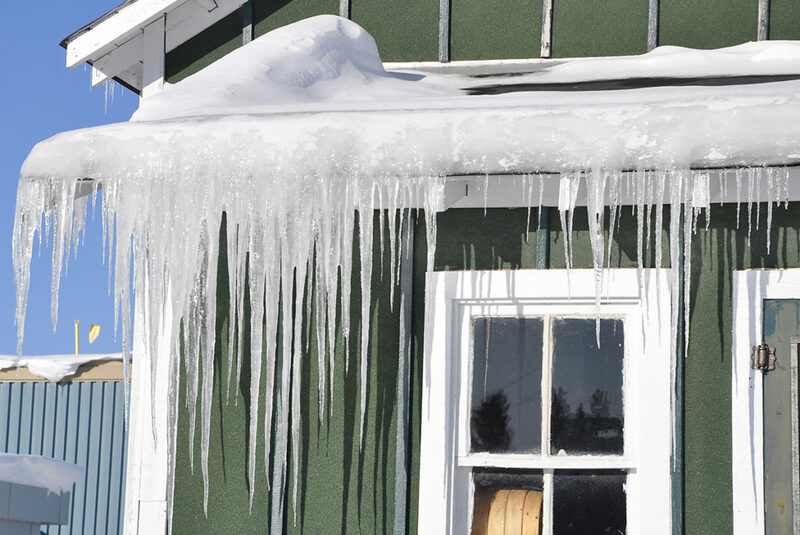 Symptoms of damage caused by ice dams may include water stains on your ceiling, shingles that become dislodged (will not be noticeable until snow melts), damaged plaster, paint peeling, or actual water seeping in. If you have any questions or would like someone to look at possible ice dam damage to your home, please give our office a call at 763-544-8761 and someone will assist you.